Plot: Bhola (Sunil Dutt) is a simple minded young man who has taken a vow to act according to the book of shashtras, which dictate that a man must marry when he is of the right age. 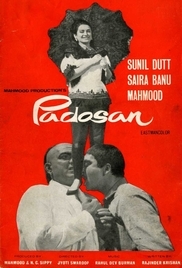 He meets with lovely Bindu (Saira Banu) and falls head in love with her. Coincidentally, Bindu moves in next to his house.